Everyone has heard the term mom-and-pop business. We normally associate it with grocery stores or other small ventures. But there are other similar businesses that start up – and fail – almost as often. These are the mom-and-pop-sized nonprofit organizations. 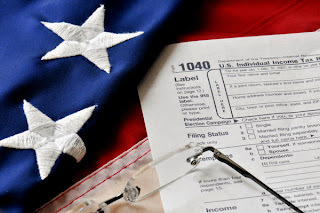 My introduction to the world of tax-exempt organizations (the federal term for nonprofits) was in Washington, D.C., as an internal revenue agent with the IRS. From my assignments, it was easy to believe that most nonprofit organizations had budgets of at least several million dollars. After moving to North Carolina in 2005, I realize that the vast majority of nonprofits are relatively small and modestly funded. From a philosophy and purpose perspective, these nonprofits offer definite advantages over their larger counterparts. Community-based, they enjoy a much closer relationships with the people they serve. And these relationships cannot help but generate a passion to further the nonprofit’s purpose. However, being small often results in a lack of resources to administer effectively. The passion and excitement that make small nonprofits so effective sometimes cause administrators to assign record-keeping a back seat. This can result in delayed or late payments to creditors and, often more costly, lack of adherence to government requirements. Small nonprofits should seek a professional who can guide and protect them in navigating the unusual path of nonprofit law. Failure to file a single annual IRS Form 990 can result in a penalty of $10,000 for organizations with revenue of less than $1 million. The same penalty for an organization with revenue of a million-plus can be up to $50,000. Likewise, Internal Revenue Code Section 4958 assesses a tax of up to 225 percent on funds incorrectly diverted for personal use. The resources that should go toward the nonprofit’s socially responsible purpose all too often are lost due to administrative failures. There are other potential hazards, such as trust fund assessments made against an organization’s officers for not paying income and FICA taxes withheld from employee paychecks. These are amounts that those personnel with the authority to pay – regardless of their ability – can be held personally liable for, if the incorporated nonprofit is unable to pay. Lack of understanding of pertinent laws, or ineffective adherence to the laws, is more often the cause of a mom-and-pop business failure than intentionally bad practices. Without careful record-keeping and attention to detail, they also can dash the dreams of a small nonprofit to make a difference in its community. Daniel Rose is a former IRS agent who operates a nonprofit consulting business in Summerfield, N.C.